RJR Props now has the largest Television Studio Camera Collection of it’s type available for Television, Film, Commercials and Still Photo. 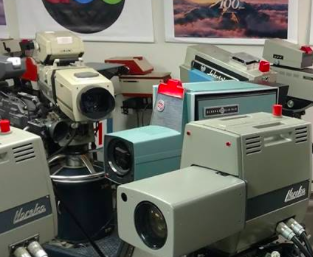 Over 50 Studio Cameras that spans the history of Television from the late 1940’s to Present. The Studio Cameras have been fully restored and upgraded by our engineers and team to provide HD Digital Broadcast quality. RJR Props also now has six airplane interior available for the Film, Television, Commercials and Still Photos! Please call (404) 349-7600 for more information!